Use UNO! 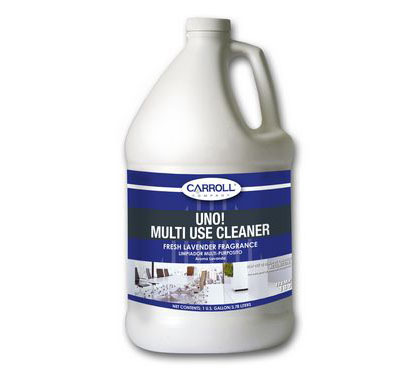 Multi-use cleaner to effectively clean washable surfaces such as floors, walls, and counters in restrooms and kitchens. Features "no-rinse" ease for gentle and effective cleaning of plastic, metal, laminates, vinyl, and other washable surfaces in schools, office buildings, and institutions. Four 1-gallon containers per case.